DutzWorks - Illustration and Graphic Design by Derrick Utz: Kodi's Debut Book Review on Kodi's Blog!!!!! Kodi's Debut Book Review on Kodi's Blog!!!!! Hello All!!! I know it has been a long time since my last post and I do apologize. I have been running around handling a great deal of things on board here and I am planning to have many new treats to post for you by this Friday! 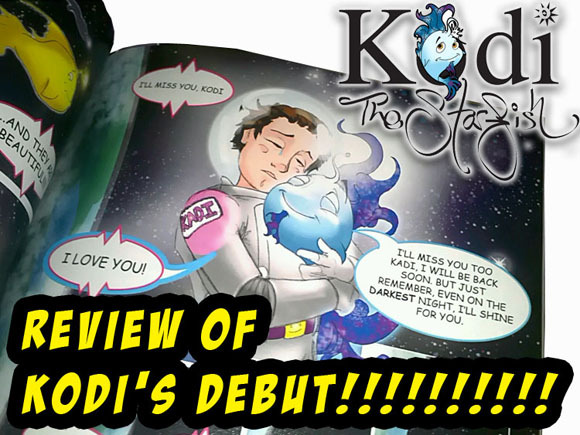 Until then, I have an awesome little quick post of a review of Kodi's story in his debut in a spaced-themed anthology! Click below if you want to see the beautifully printed story and original sketches that have been part of what has kept me so busy!